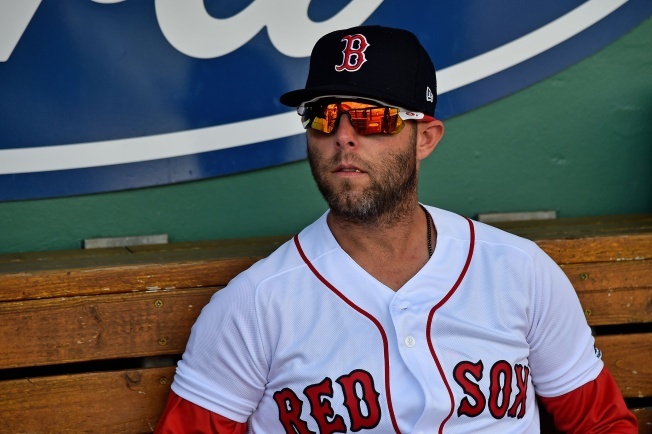 Dustin Pedroia's season debut could come as early as Tuesday afternoon's home opener when the Boston Red Sox host the Toronto Blue Jays at Fenway Park. The veteran second baseman has been playing for Single-A Greenville as he works his way back from a knee injury that limited him to just three games in 2018. He played three games for Greenville this week and went 3-for-9 at the plate. Pedroia is a career .300 hitter with four Gold Gloves and four All-Star selections in the American League. He's played in only 108 games over the last two seasons due to injury. The Red Sox certainly could use Pedroia in the lineup after starting the year with a disappointing 3-8 road trip. His leadership on and off the field also will be beneficial to Boston as it tries to overcome an early-season slump. The Sox will receive their 2018 World Series championship rings in a special pregame ceremony before Tuesday's matchup.